About the cook: 27 year old millenial who believes in simple, but tasteful. Graduated Kennesaw State University with my Culinary degree. Taught Culinary Arts in high school. Looking to soon open a restaurant. About the dish: A new found favorite for people who love less fat, but still get that southern taste in a cookie. Who wants to ride around eating banana pudding from a cup when you can eat it in a cookie form and be just as guilty. I am all about creativity and pushing the envelope. Being from the south has brought a new perspective to the word "Southern Banana Pudding"
Cream butter and both sugars together until creamy, add egg and mashed up banana, make sure there are no banana chunks. Add vanilla. In separate bowl sift flour, French pudding, salt, and baking soda together, add dry mixture to creamed mixture. Blend until mix looks like a consistency of cookie dough. Add your crushed wafers and white chocolate chips to batter, beat until well mixed. Take a 9X13 cookie pan and pour cookie dough onto greased baking pan. Evenly flatten out dough, so that it bakes evenly. Add chopped vanilla wafers to top. Make sure vanilla wafers are placed in cookie sticking out. Place in over for 15-20 minutes depending on your oven. Pull out let cool, cut and enjoy. All excitement, but less dairy and egg. Cookies last about 2 weeks in closed containers or a month in freezer or longer. 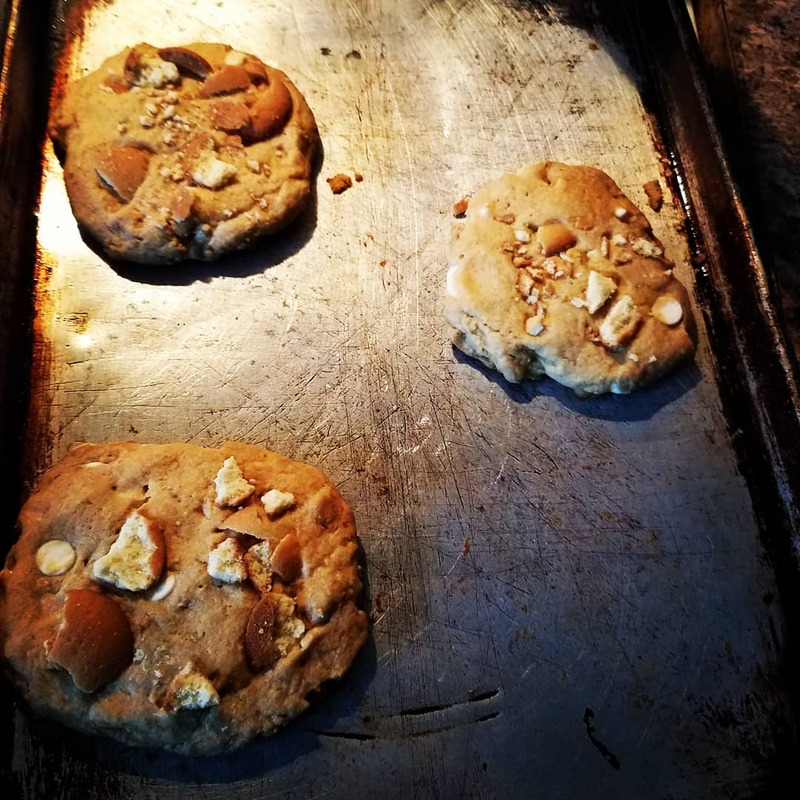 You can make individual cookies or one big pan, both are equally delicious. Cheers to a southern Banana Pudding Cookie!!! !